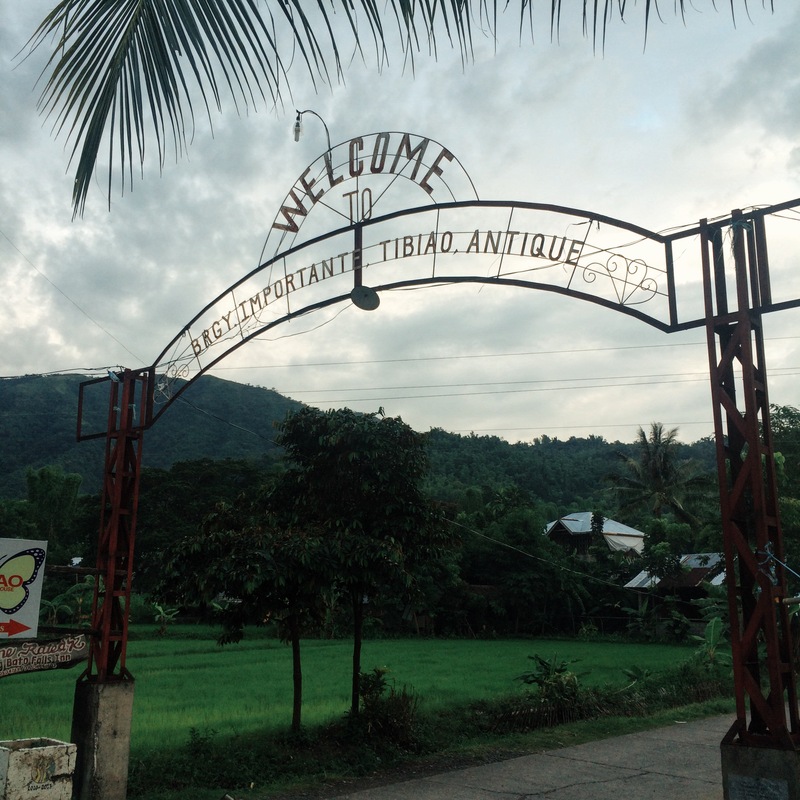 Tibiao, Antique is a stop-over you can’t miss when exploring the western part of Panay Island. 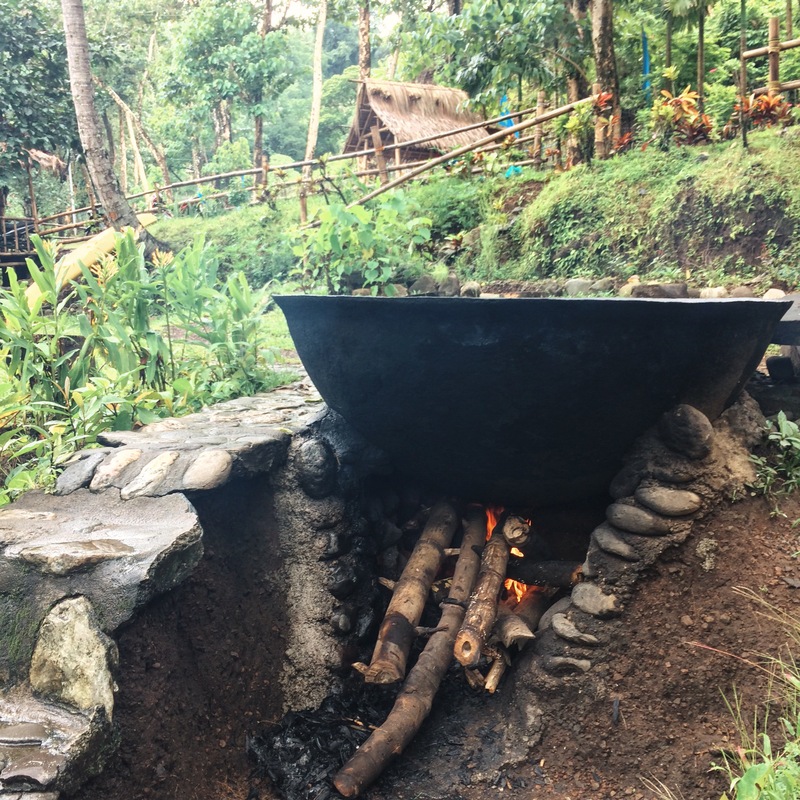 Apart from the famous Malalison Island in the neighboring town of Culasi, experiencing the Kawa hot bath should be on your list. The kawa (a big kettle), previously used at sugar mill factories, are now being used as big hot tubs perfect for the cold and chilly weather of the coastal town. Getting lost in Tibiao, Antique Province Tibiao, located on the western part of Panay, is home to a number of inns offering "Kawa" hot bath. A perfect way to relax amidst the chilly weather of the town. 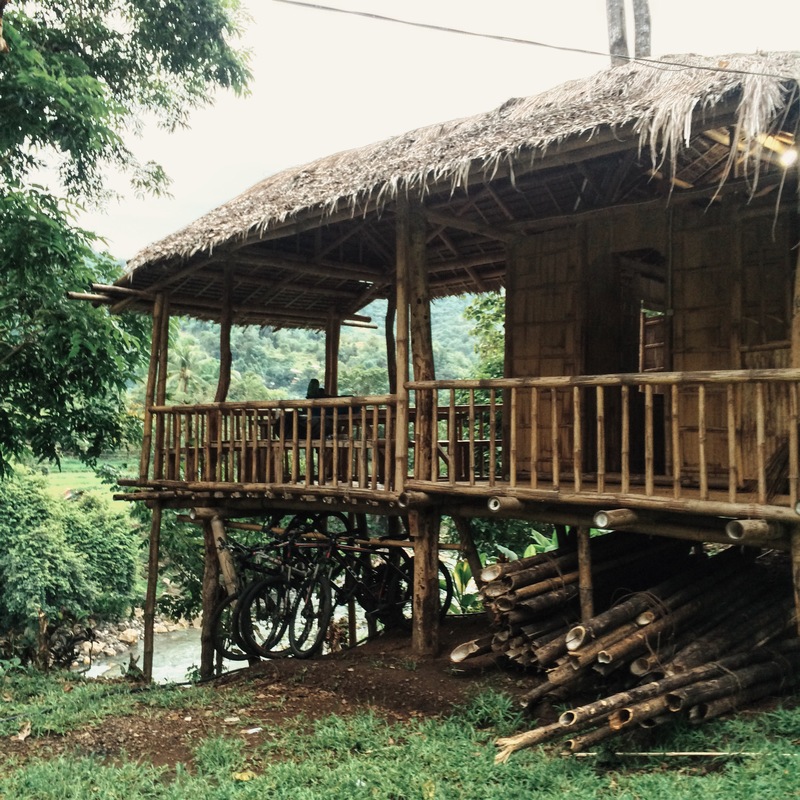 We recommend staying at Kayak Inn beside the river in Brgy. Importante. There are several ways to reach the province of Antique. In Panay Island, there are four major airports located in Roxas, Iloilo, Caticlan and Kalibo. The nearest one to Tibiao, Antique would be Caticlan Airport. We entered through Roxas City Airport since we plan to visit Islas de Gigantes after Tibiao. Take a flight bound for Roxas City. Cebu Pacific flies here. We booked using are GetGo points – and got our tickets for free! From the airport, hire a tricycle to their van/bus terminal located at Pueblo de Panay. There’s only one terminal in the city. Take a van bound for Kalibo. Travel time is 1 hours and 45 minutes. From Kalibo, ride a tricycle to Ceres Bus Terminal. From Ceres Bus Terminal, ride a bus bound for San Jose, Antique and alight at Brgy. Importante (also known as “crossing”). Travel time is 2.5 hours. From Brgy. Importante, ride a habal-habal to Kayak Inn (see Where to Stay) located 4km. inland. From Kalibo City: Just follow the instructions above from Kalibo. Kalibo is a better option if you’re not going to Islas de Gigantes. It’s going to save you 2 hours of travel time. From Caticlan: There’s a bus terminal across the jetty port. Ride a bus bound for San Jose, Antique and alight at Brgy. Importante. You may also ride an Iloilo bound bus but make sure it’s via San Jose, Antique. We do not recommend entering through this airport since flights are more expensive. We recommend staying at Kayak Inn. There are other resorts in town that offer the Kawa Hot Bath but Kayak Inn is probably the best. The inn is just beside a river which makes the place more relaxing. Take note that there’s no cellphone signal at the place. 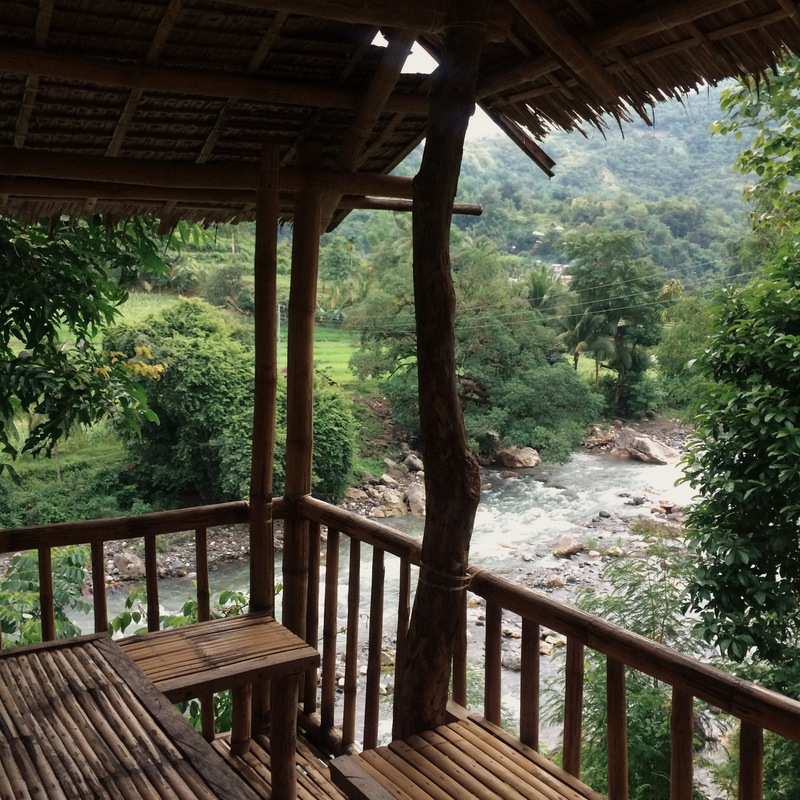 You’re going to be sleeping with just the sound of the river outside your hut. They have fan rooms for 250/head. They also offer breakfast, lunch & dinner – whatever is available only; there’s no menu. More importantly, they have “kawa” hot baths for solo, couples and groups. If you’re looking for a place to unwind and relax, Kayak Inn is the best option for you. We did not originally plan to visit Tibiao. We just risked visiting the place on our 4-day Panay trip since we really wanted to experience the Kawa bath. If you’re visiting Antique, the best and cheapest way is to enter through Kalibo Airport. There are centralized transport terminals in the cities so traveling around wouldn’t be much of a problem. 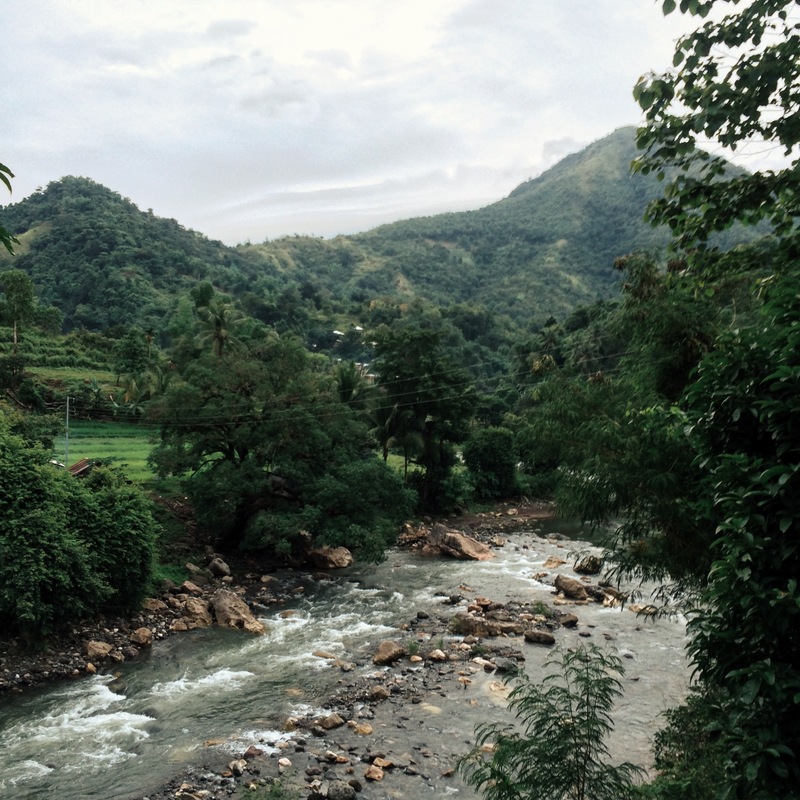 From the crossing of Brgy. Importante, just ride a habal-habal to bring you to Kayak Inn. The place is beside the river. When we visited, it was quite chilly and had our malongs and jackets out whenever we step-out of our huts. We arrived late in the afternoon so we scheduled our hot bath the following morning. The Kawa takes some time to prepare. They burn up wood to heat up the water to your desired temperature. It takes around 45 minutes to an hour to prepare the kawa so remind them ahead of time. The cold morning weather with a slight drizzle was perfect for a hot bath. The sound of the river added to the relaxation. We stayed for more than an hour. The rate is 250/head for 30 minutes. Luckily, there were no other guests lined up after us so we were allowed to extend. Kayak Inn is the best place to go even though there are resorts in the town proper that also offer the kawa hot bath. On your way back, just wait for the bus at the waiting shed/crossing of Brgy. Importante. Alternatively, you may ride a van to Culasi and wait at the town’s bus station. If you’re having a difficult time finding a Kalibo-bound bus, take a bus to Caticlan and ask the driver to drop you off at the intersection to Kalibo and wait there instead. On your way to Kayak Inn, you’re going to pass by Tibiao Eco Adventure Park. They have activities you might want to try like zip-lining over Tibiao River. You may also hike to Bugtong Bato falls – a 7-tiered waterfalls. Tourists can only visit three out of the seven. You may ask Kayak Inn to get you a habal-habal ride to the jump-off. At the town proper, you may visit Tibiao Fish Spa. Malalison Island can be visited from the neighboring town of Culasi. You may ride a van from Tibiao to Culasi for only P20, then hire a boat to Malalison Island. Unfortunately, because of the weather, we weren’t able to visit the place. Caticlan Port to Boracay is only 2 hours away if every you plan to pass by the famous island. If you can, stay at the group kawa so you could dip your whole body in heat. Don’t forget to bring insect repellent since it can get quite annoying at night. Again, there are no cellphone signal in the place. Message or call who you need to contact before riding the habal habal to Kayak Inn. In Roxas City, make sure you ask for the tricycle fare first before riding. Haggle if you can. Hi! how many hours was the travel time from Tibiao (Kawa hot bath) to Estancia (for Isla de Gigantes) ? and what mode of transportation did you use? We rode the the bus from Tibiao to Kalibo. Then from Kalibo we rode the van to Roxas and then from Roxas we rode the van again to the jump-off. Do you have contact details for Kawa Inn? 🙂 Thank you!